The festival of lights is round the corner and it’s time to hustle up and prepare yourself to look stunning this Diwali. 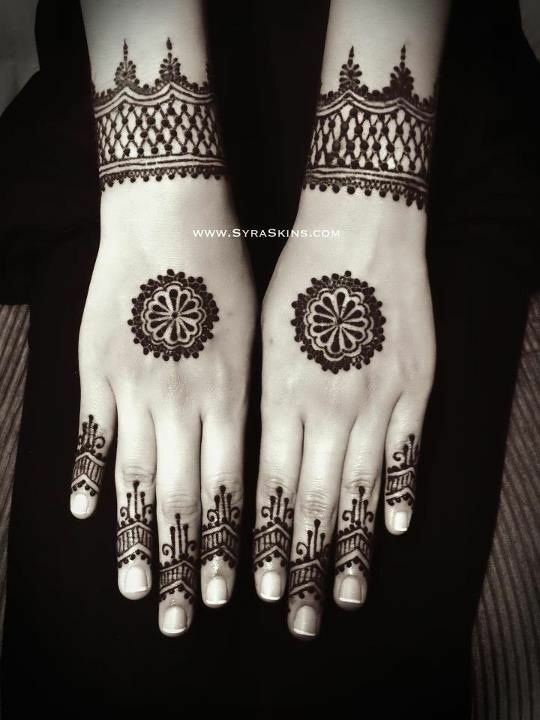 While everyone remains caught up in arranging outfits and buying presents, minute details are often forgotten, like what mehendi design is going to adorn your hand this festive season. 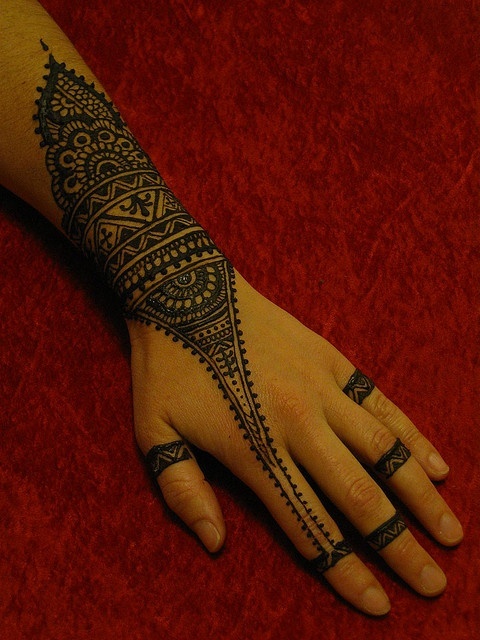 Mehendi is a traditional Indian body art that is drawn onto the hands of women, usually to celebrate an occasion. Traditional Indian mehendi patterns include peacocks, flowers and mango prints. 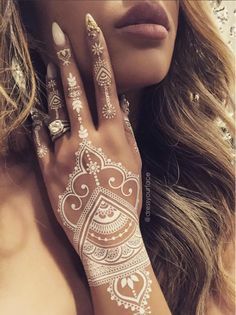 Indian brides normally sport patterns involving these intricate details on their arm. This Diwali, be prepared to dazzle everyone with unique designs that are minimalistic, yet attractive. 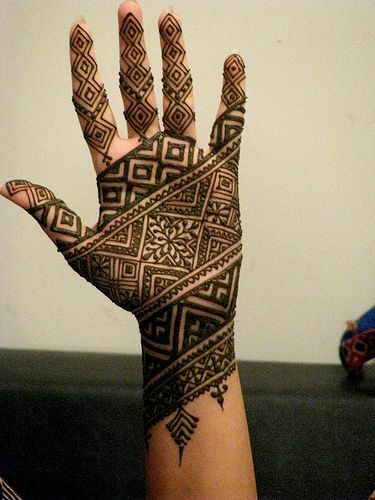 Spice things up by applying mehendi on your back or on your waist and show everyone who the real ‘pataaka’ is. This print is a classic Indian print complete with flowers, however detail around the central pattern, gives the entire design a feel of fireworks on a dark night, making it perfect for the festival. Although the pattern requires a steady hand and precision, once pulled off, it’s sure to stand out. 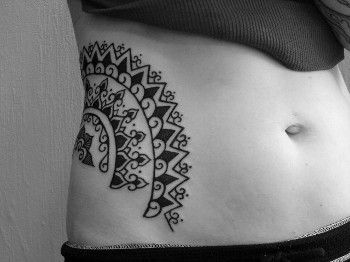 The idea that this design gives is very clean and classy. The wrist band is a trend that is bound to get you praise. This pattern defines elegance. The smaller but detailed patterns are more likely to catch eyes as well as compliments. Patterns as so, save you the cost of buying bangles as well as rings. They also prove to be a much more economical way of exhibiting beauty through art. This is a Moroccan print, very different from the Indian patterns. Moroccan prints use more lines and shapes rather than peacocks and flowers. This pattern is very different for Diwali and will definitely set you apart from the rest. 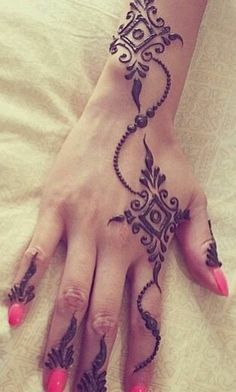 This design is best suited for those girls who don’t want much on their hand. The pattern provides a new take on unique patterns. 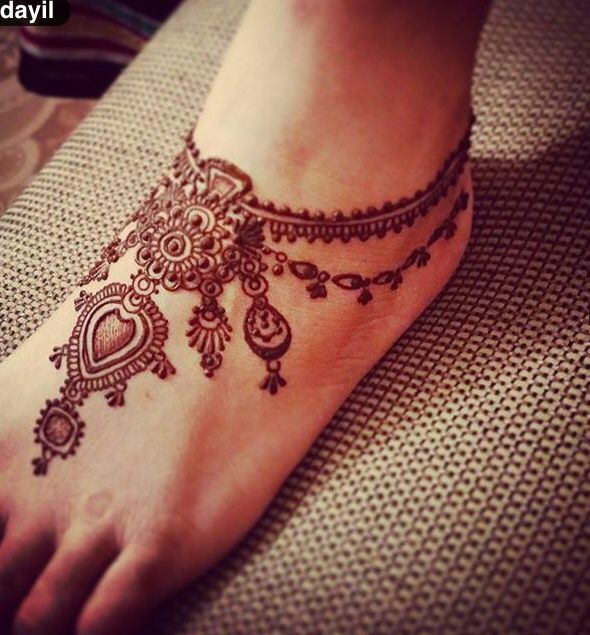 Mehendi on the feet are normally worn by brides, however simple designs like this can be carried off pretty well, without looking like you’re going to get married. 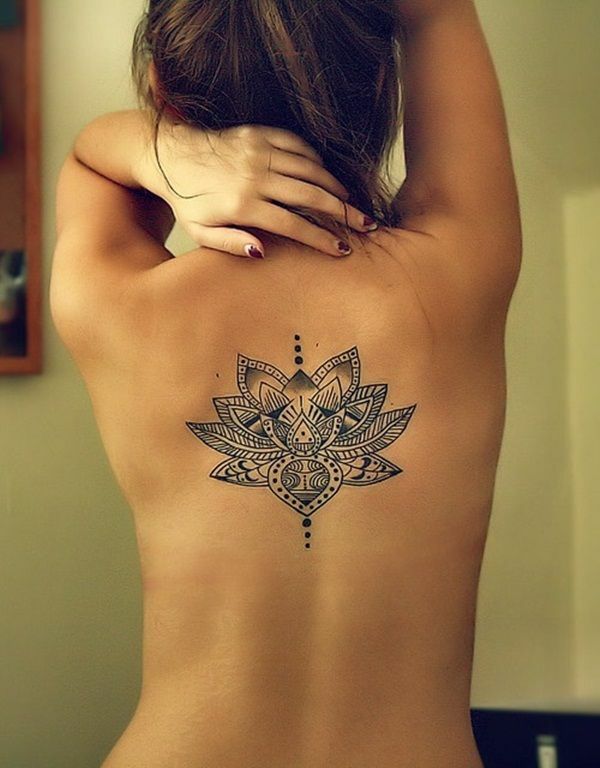 Instead of limiting mehendi to only hands and legs, why not try out a design on your back. This will work well if your outfit has a deep-cut back. 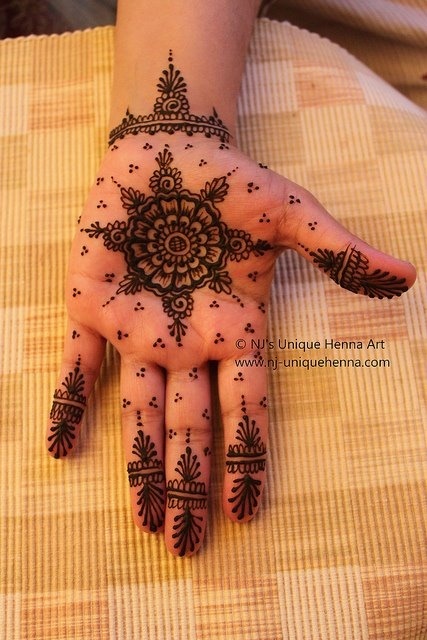 Another place to draw the mehendi could be your waist. If you’re wearing a short blouse, a pattern that isn’t very loud will spice up your look. Finally, why not experiment with white henna. The designs used here work best when they have as less detail as possible. This kind of print is sure to be the highlight of your look. So this Diwali, don’t hesitate on going down a contemporary route. Don’t be afraid to stand out from the rest. Hope you have a safe and prosperous Diwali! 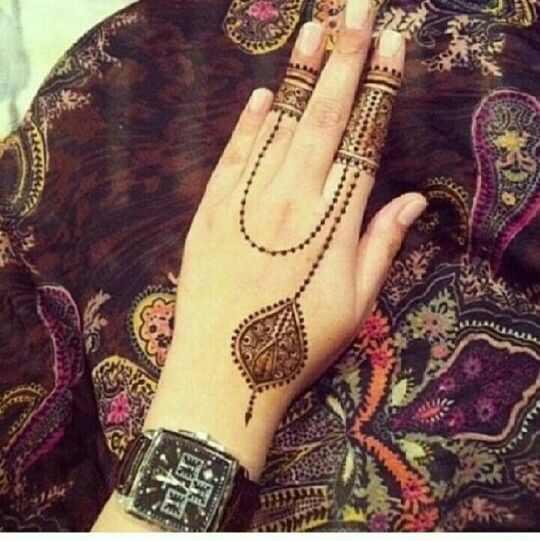 This entry was posted in Create the Look and tagged Festive look, festive season, Mehendi, mehendi design for diwali, Mehendi designs.